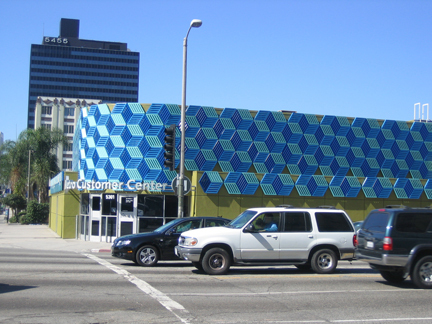 Jim Isermann, exterior panels, Mid-Wilshire Metro Customer Center, Los Angeles. 2006, Metro Customer Center, Wilshire and LaBrea boulevards. Removed in 2015 for the construction of Purple Line extension.